WELCOME TO BERKFIELD & CO. Located in Waterford, Michigan, all of us at Berkfield & Co Ltd take great pride in helping our customers protect homes, autos, and businesses with quality insurance programs backed by solid, financially secure insurance companies. 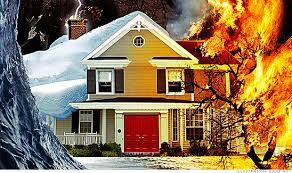 For personal coverage, we can help you with Homeowner, Auto, Life, toys ... you name it! Need business/commercial insurance? Tell us what you need and we will find the right coverage at the best price. We've been doing this for over 38 years! then find policies that match their individual needs and budgets. Our goal is to earn your confidence, help you make solid, educated decisions about your insurance needs, and to develop a relationship with you that will last. Because of our long-term relationships, we do very little, if any, advertising. Our Referral Program is the main source for new business. It offers our clients a chance to help friends and family, plus receive a gift of appreciation from us. If you'd like more information about this program just click on the image above on the right. That it is far more important to help our current customers than it is to pursue a new one. 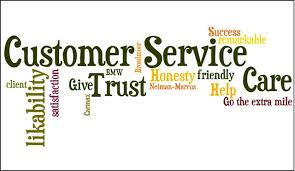 We truly care about our customers and recognize the value of long term relationships. That the services we provide help to protect our customers against life's unknowns. We work hard to earn and keep the trust of our customers on a daily basis. 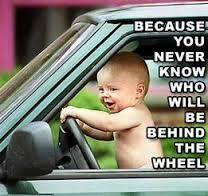 You have every confidence in your driving skills, but life is full of variables. The other guy, the weather ... you know what we mean. Having the proper coverage can make all the difference in your life if you are ever involved in an accident. 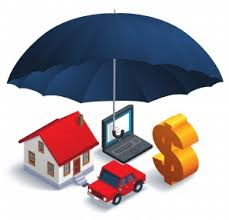 An umbrella insurance policy is a liability policy that adds liability coverage to your existing policy. Your homeowner policy or your auto policy will have a liability limit. That means if someone was hurt in your home or in a car accident, that policy would cover you for that person's liability up to your policy limit. "I would get umbrella insurance, which is extra liability insurance, when you reach about $500,000 net worth. Prior to that, I would carry $500,000 limit of liability on your homeowner's and on your car insurance and any other policies that you buy that have liability attached to them. Once your net worth gets near $500,000, you can pick up another $1 million in liability insurance called an umbrella policy. That attaches to the top of your other policies and gives you an additional $1 million in coverage for about $200 a year in most states. It's a great buy and as your net worth grows it is a MUST." Life insurance helps ensure that the life you've worked so hard for won't disappear if something happens to you. It provides an extra layer of protection for your family. Congratulations! You've realized your dream of owning your own business. Now you are realizing how many hats you need to wear. 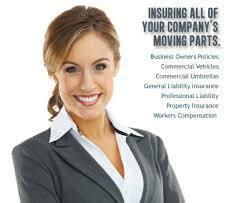 Business insurance is just one of your concerns. Business Owner's Policy, Commercial Vehicle Policy, Commercial Umbrella Policy, Professional Liability Policy, Property Insurance Policy, Worker's Compensation Policy. Is it all giving you a headache? You're not alone. Not to worry ... we've got your back. We will explain the ins and outs of business insurance, answer all of your questions, and find the right coverage for you at the best price possible. LegalShield gives you the power to talk to an attorney about any personal legal issue. Whether it's big, small or somewhere in between, your LegalShield Provider Law Firm will be there to offer advice or assistance on a variety of issues. Millions of people lose their identities every year. DON'T BE ONE OF THEM! Identity theft has been the top consumer complaint filed with the FTC for 15 years straight. Victims are spending an exorbitant amount of time and money dealing with it. The criminals are getting smarter, and they're not going away. You need an established institution that understands all the potential threats, how to prevent them and how to restore any damage done. It takes only minutes to choose your plan and sign up for either Legal Shield and/or IDShield. 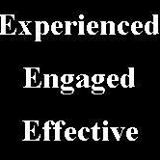 Simply go to www.legalshield.com/hub/berkfieldco. You can be signed up within minutes! 24/7 Personal Support As an independent agency, our top priority is always our clients' best interest. We have relationships with dozens of insurance companies, allowing us to place you with the right carrier, with the right coverage, at the best price. As an independent insurance agent we can offer the personal touch you would expect from your neighborhood insurance agent. It is always best to do business with someone you KNOW, LIKE, and TRUST! Our Customer Service Agents are always available to advise and answer your questions. Please visit our Employee Directory for extension numbers. BERKFIELD & CO LTD - SERVING WATERFORD AND THE DETROIT METROPOLITAN AREA FOR ALL PERSONAL, BUSINESS, AND LIFE INSURANCE NEEDS!